Kevin Greener, Vice President – Business Development, joined Falcon in March 2018. 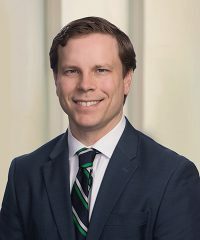 Prior to joining the firm, he was a Vice President at JMC Capital Partners, where he focused on sourcing new transactions and building relationships with intermediaries. Previously, Mr. Greener was an Associate at North Atlantic Capital and a Strategy Consultant at the Beacon Group. Kevin holds a B.A. in Political Science from Williams College.